In a society dominated by how the public perceives appearances, studies have shown that the number one reason customers do NOT enter a store is because of poor appearance. In a recent study 95% of those participating in the study said that their most important determining factor on whether or not they enter a retail business is its appearance. Studies like these highlight the significance of having a good retail cleaning service and how this service can increase your number of customers. There are four main areas to focus on when providing retail cleaning services. The first area is the flooring. Floors get dirty, which is acceptable, but being able to thoroughly clean them is what sets apart ordinary from extraordinary. Your retail cleaning service should include sweeping, vacuuming and mopping when needed; a professional cleaning service will make floors look brand new. The second thing that customers notice is odors. There are many factors that contribute to the odor of a location. 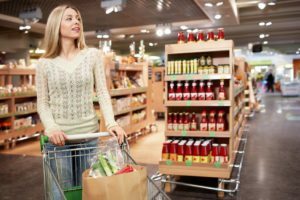 Daily retail cleaning and odor neutralizers are your best guard against smells that turn your customers around. The third aspect that customers look for when judging a retail business is the cleanliness of the dressing rooms. Having a neat, clean dressing room is very much preferable to a messy room with clothes, hangers, and tags strewn about. The last area of retail cleaning may yet be one of the most important: bathroom cleaning. Restrooms in retail stores are used continually, so keeping them clean is quite challenging, but if you want your customers coming back to buy your goods, then make sure you have a retail cleaning service who knows how to properly clean every aspect of the bathroom! Appearance is everything in today’s retail world, so be sure that you keep your store clean and you will keep all your customers happy!